You can’t deny that you wish you had a piece of the action. For an asset class to provide a return of 1700 percent on an investment over a ten month period – or for investors who have been in for a little over four years to receive a return of 170 times their initial outlay – is almost unprecedented. Despite our wanting stable and understandable investment returns, it is hard not to want to “get rich quick” when others are doing so. With 16.7 million bitcoins in issue, a number of early converts have managed to do very well indeed, given the price rise from $120 to over $17,000. The cryptocurrency had another boost with the opening of futures trading on the CBOE and CME, but this also led to a fresh round of naysayers shouting about the likelihood of the bubble bursting as it created the opportunity to open short positions. The movement in the asset is now greater than that in the “tulip mania” of the seventeenth century, which has led many to question whether the buyers really know what they are doing. In fact, there is a much broader question to ask: Does anyone really understand the true risks and implications of bitcoin? I am not suggesting that people cannot grasp the underlying concept of bitcoin or blockchain technology in general. What is questionable is the extent to which the full implications of both are understood, with bitcoin being potentially an example of the much broader blockchain technology, which could bring changes as significant as the birth of the internet itself. Blockchain is essentially a decentralized, very public ledger that records peer-to-peer transactions. Bitcoin is effectively the proof of concept for blockchain, being a stateless digital currency with every transaction in its entire history recorded and publicly viewable. The “inventor” of bitcoin is unknown beyond his alias, Satoshi Nakamoto, so it is hard to discern whether he really understands the creature he has created – but his own holding is estimated to be worth well in excess of $1 billion. Nakamoto’s cause was helped by some early support from the Winklevoss twins who, having secured $65 million from Mark Zuckerberg in a dispute over Facebook ownership, invested $11 million in bitcoin four years ago – a holding which is now worth more than $1 billion. Why has the bitcoin boom happened? The timing of its creation was ideal in that it occurred when there was widespread caution over trading with financial institutions. Trading in fiat currency involves a high degree of trust that the other side of a trade will honor it. Peer-to-peer digital trading takes that element away. As geopolitics have become more uncertain, having a currency that is not tied to a specific government has become very attractive. The other key factor in bitcoin’s success is that of scarcity. There are 16.7 million bitcoins currently in circulation, and the “mining” of new bitcoin takes progressively longer, with an ultimate cap of 21 million bitcoin total. 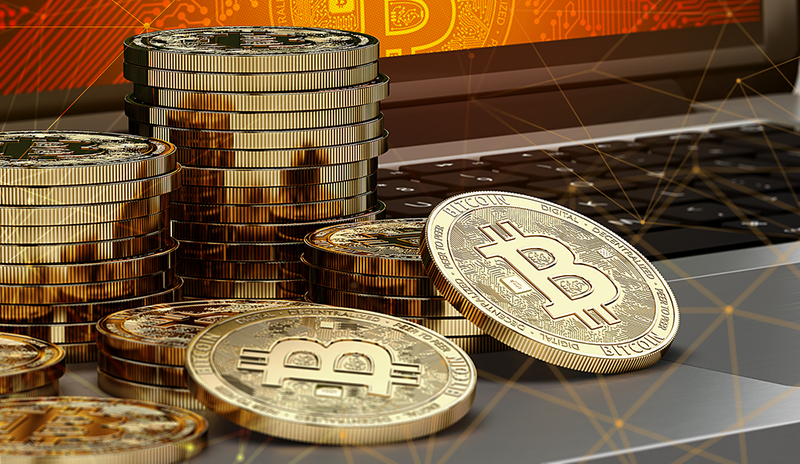 These factors have been sufficient to generate a wave of speculative interest that created the stratospheric rise last year, with individual speculators, especially in Japan, taking some highly leveraged bets on the progress of bitcoin. Why, then, would I question the understanding of the inventor and early investors? The problem for bitcoin users is that speed of adoption has gone way beyond processing capacity. To start with, bitcoin is uneconomic for the processing of small transactions, and the rise in the currency’s popularity has led to a rise in the time it takes to confirm a bitcoin deal – from less than 20 minutes to, at times, 6 hours. The backlog in trades has meant an increase in fees, which makes some transactions impracticable. There has been talk of splitting the currency, but this has so far not been effected. As a result of this, and of course the price movement, there has been an explosion of bitcoin imitators. We have to hope that the regulators understand the implications of bitcoin – but again, the answer seems to be, in a broad sense, no. So far, bitcoin is largely unregulated. In 2015, the UK government did say that anti-money laundering legislation would be applied to digital currency exchanges, but so far this hasn’t happened. As a result, understandably cautious compliance officers have made it difficult for a bitcoin buyer to get a bank account in the UK, potentially leaving the UK somewhat behind the US and parts of Europe in terms of fintech innovation. Even in the US, some at the Fed have become concerned that cryptocurrencies could become a threat to financial stability if they achieve widespread usage, while others think that the Fed should be offering a cryptocurrency of its own. This brings us to one cohort that has perhaps managed to get a grip on the currency’s potential: drug dealers and money launderers. Around London, there are dozens of cryptocurrency cash machines that allow people to convert up to £500 without providing any identification. This money can then be digitally moved around the world without any checks, making cryptocurrencies increasingly the payment medium of choice for drug deals. What, then, is the approach of those who make their living out of trading global assets – the investment banks? Early in 2017, the CEO of JPMorgan, Jamie Dimon, dismissed bitcoin as a fraud and said that he would fire any employee trading the cryptocurrency for being “stupid.” However, banks may have to adopt a different stance now that the currency has achieved the legitimacy associated with approval to be traded on the CME, and Goldman Sachs is rumored to be considering clearing bitcoin trades for its clients. For banks, the broader uses of blockchain technology are much more interesting. RBC, ANZ, and even JPMorgan have started a network to use blockchain to handle cross-border payments for correspondent banking, which allows payments to reach beneficiaries faster and with better security. A journey across those who have an opinion gives the full gamut of potential outcomes for the bitcoin boom. Bitcoin could be worth trillions, or it could have a dangerous and rapid crash. Advising potential investors has to be carried out with a very high degree of caution. However, the bigger picture may be more about the long-term benefits of blockchain technology and the extent to which it could prompt major changes to the way we live and do business – if it can create a much more reliable and secure financial network, as has been argued. The point then, is not to try to make money from speculating in bitcoin, but to understand the benefits of the technology behind it. Unfortunately, the latter is being lost in our preoccupation with the former. A version of this article originally appeared in the Shaw Sheet. Adam McCormack is a director of and a regular contributor of article on economics and investment to the Shaw Sheet. Adam is a director of and a regular contributor of article on economics and investment to the Shaw Sheet, a free online magazine. He was an investment banker for more than thirty years and is a chartered fellow of the CISI.